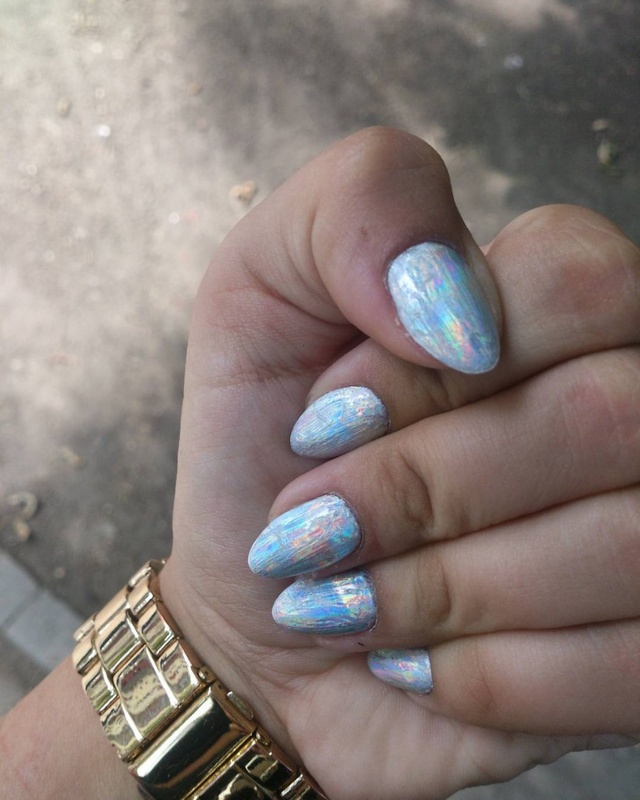 Holographic nail design is the kind of manicure that will make your nails get noticed. 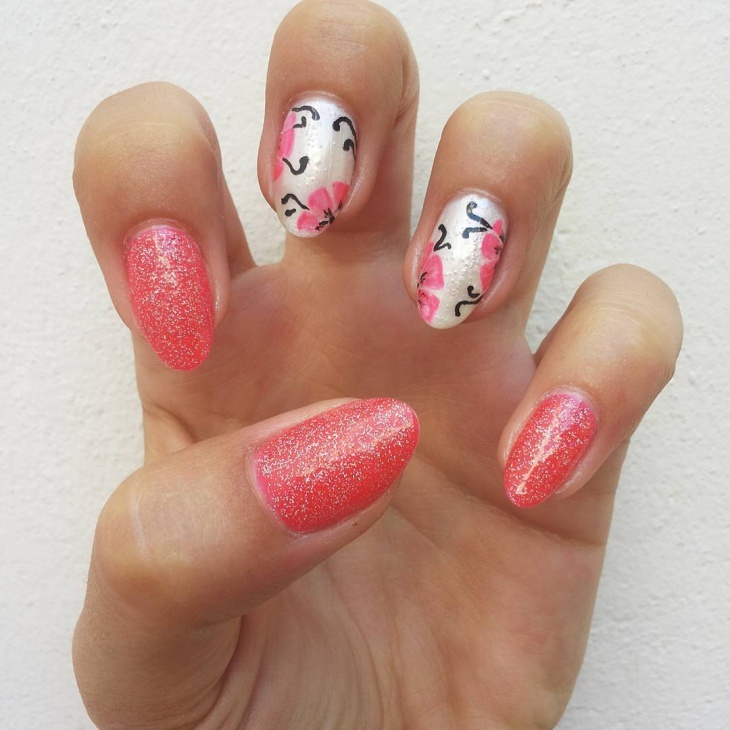 This nail art is also an excellent way to express your creativity and personal style. 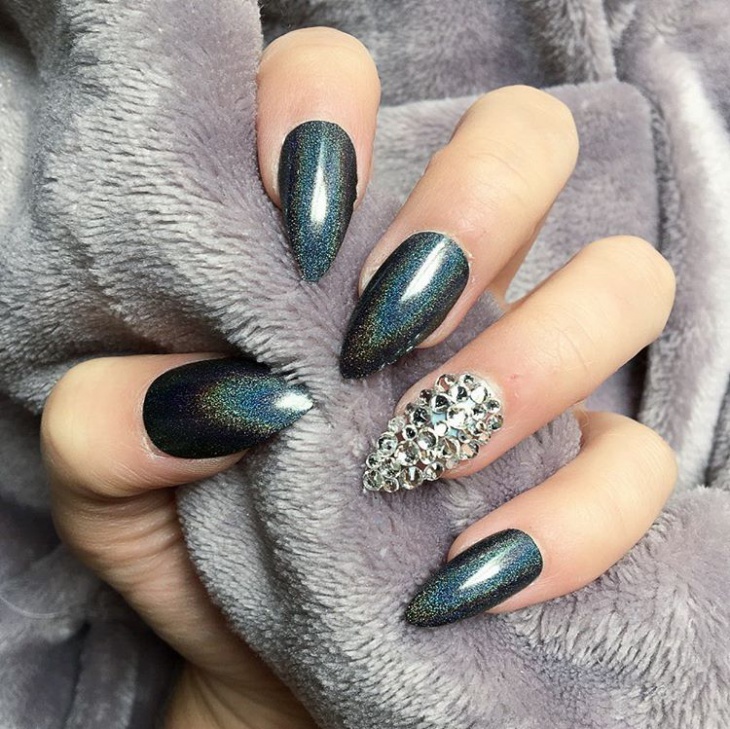 While a simple French manicure will make your nails look beautiful, holographic nails guarantee to create that dramatic effect that will get you all the attention. 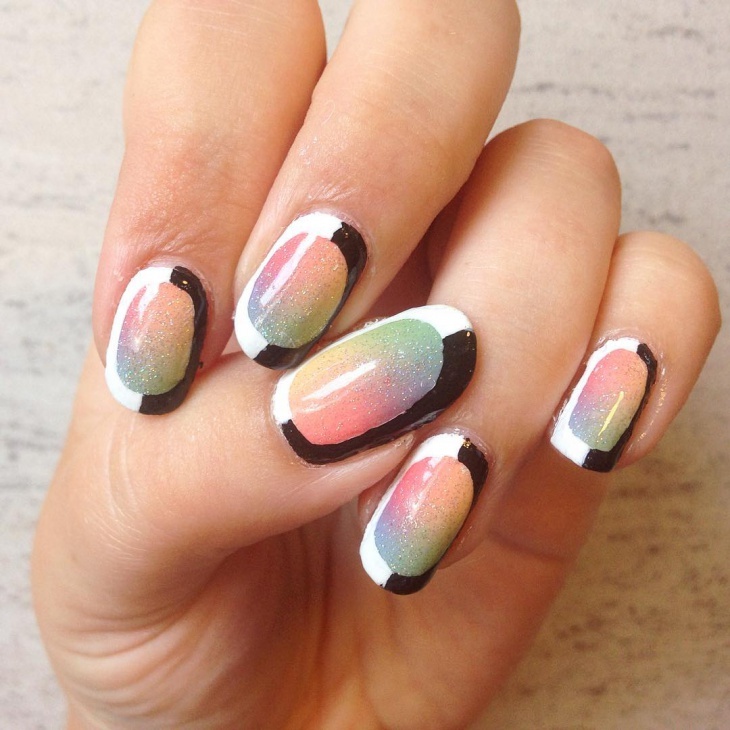 So, get your nail polish or go to a salon and give your nails one of these trendy nail designs. 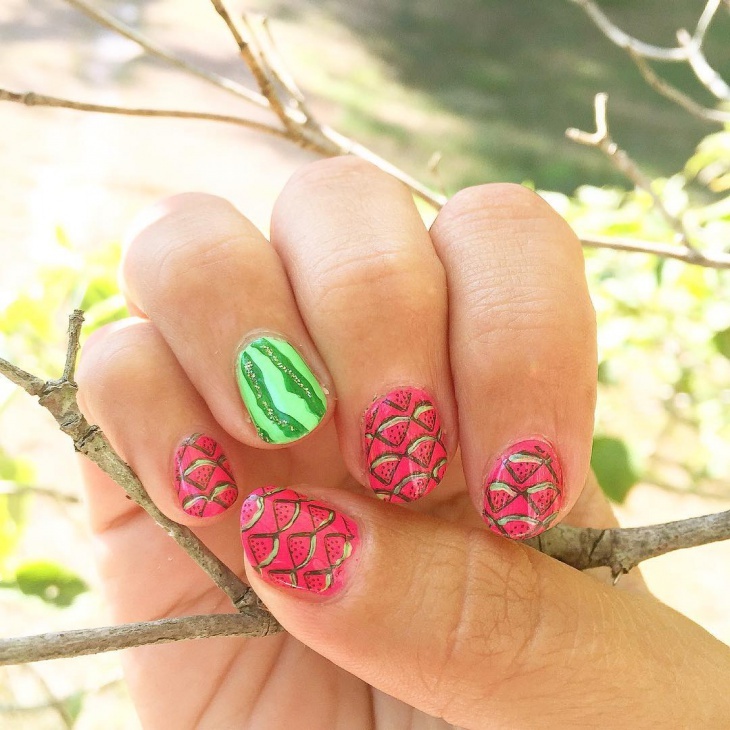 Summer is the perfect season for teenagers and kids to experiment with bold colors. 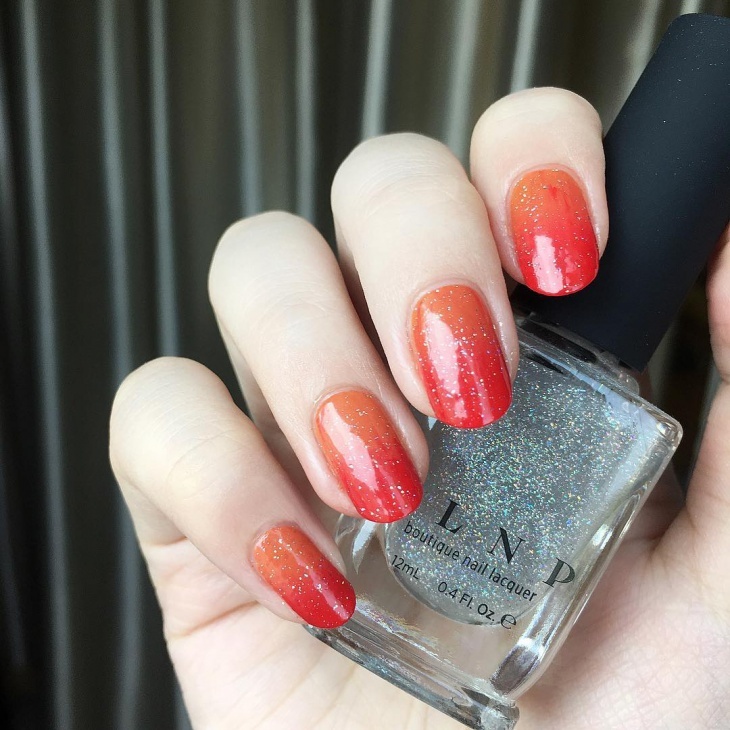 While most nail art involves using one nail polish color, opt to use more than two bright colors to create stunning rainbow holographic nails. Complement your gold watch with this cute blue holographic nails. The color is versatile enough for both casual and formal occasions depending on your outfit. Spice up the nail art by wearing matching sandals. 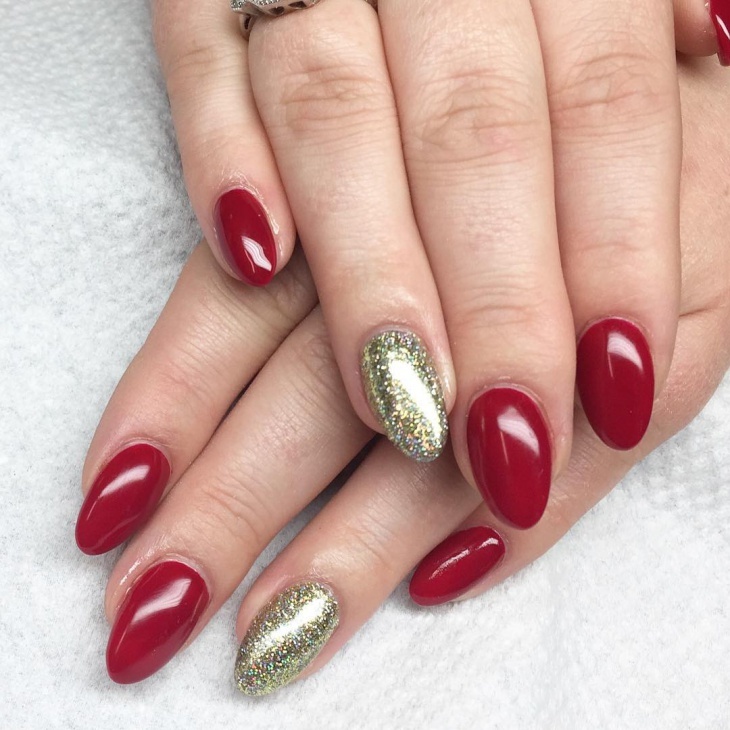 Are you looking for a way to make your short nails stand out? 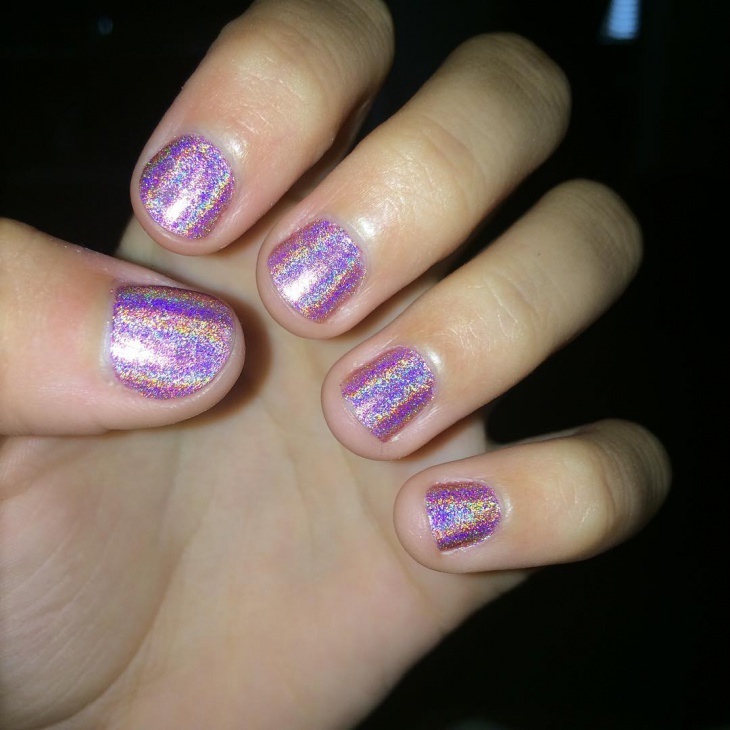 Holographic nail design gives life and beauty to short nails. Go for two bold colors and apply in alternating method to give your cute short nails that dramatic effect. 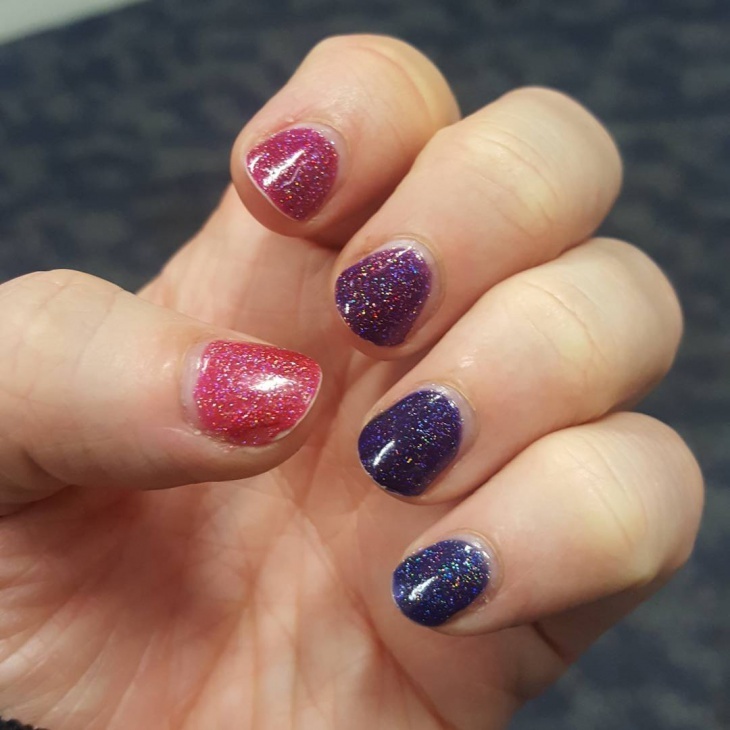 If purple is your favorite color, then holographic purple glitter nails are what you need to complete your outfit. The color stands out on its own however you can add love patterns all over the nail to give the art an elegant design. 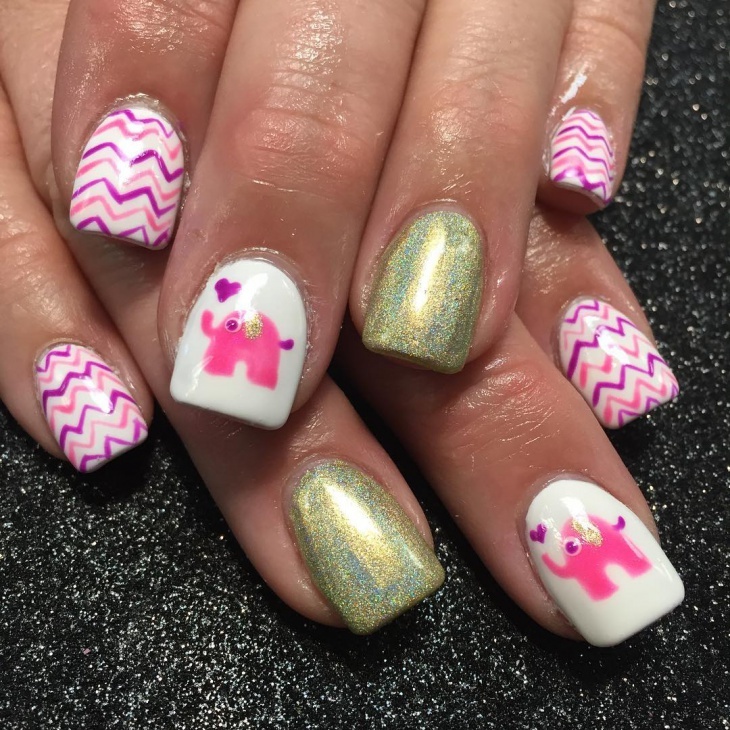 When it comes to trendy nail design, the more color you have on your nails, the trendier you look! 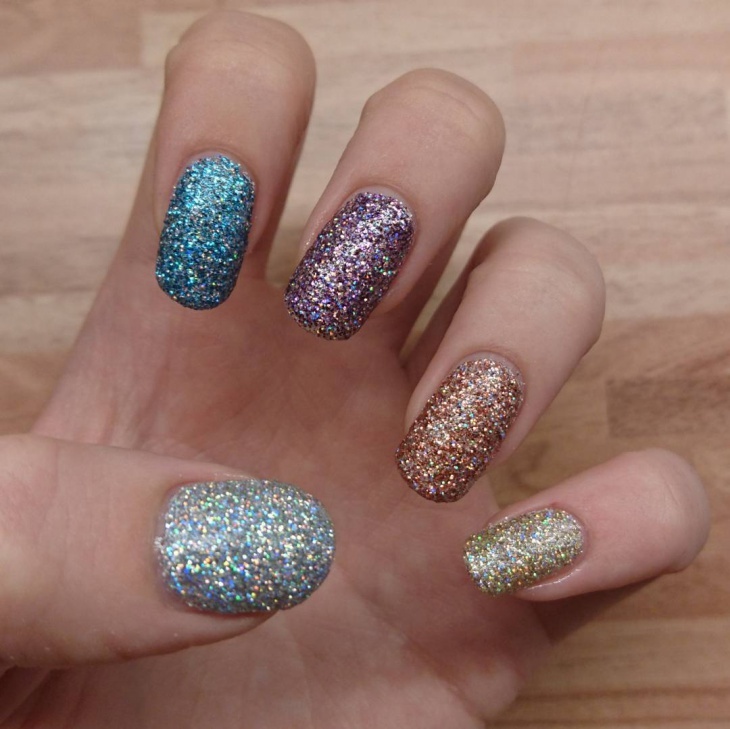 Opt for nail polish with large quantities of sparkles then apply more than one coat to give the nails a chic effect. 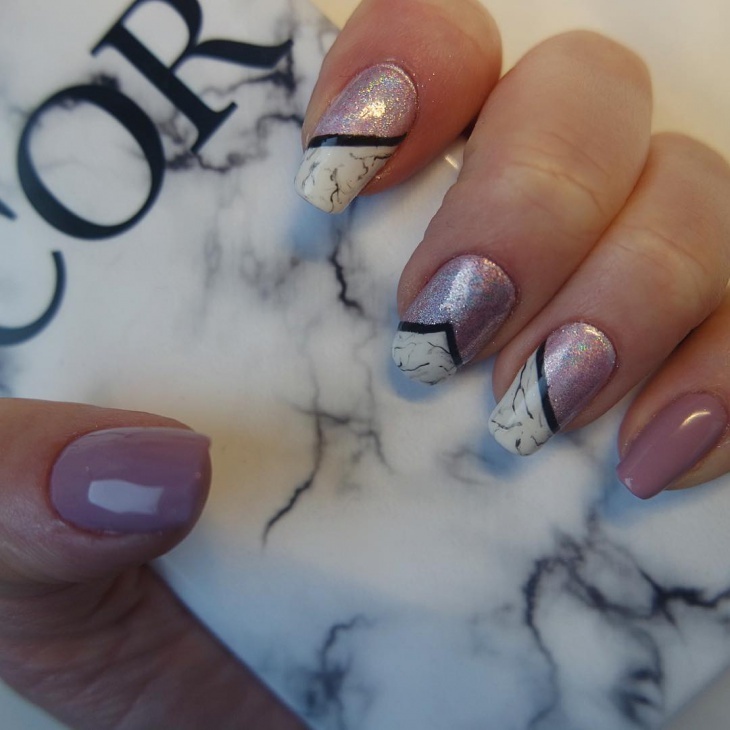 If using one nail polish color is what you desire, then go for holographic almond nail design. While the bold color screams fun, you can add gold sparkles on one nail to give your fingers that edgy style. 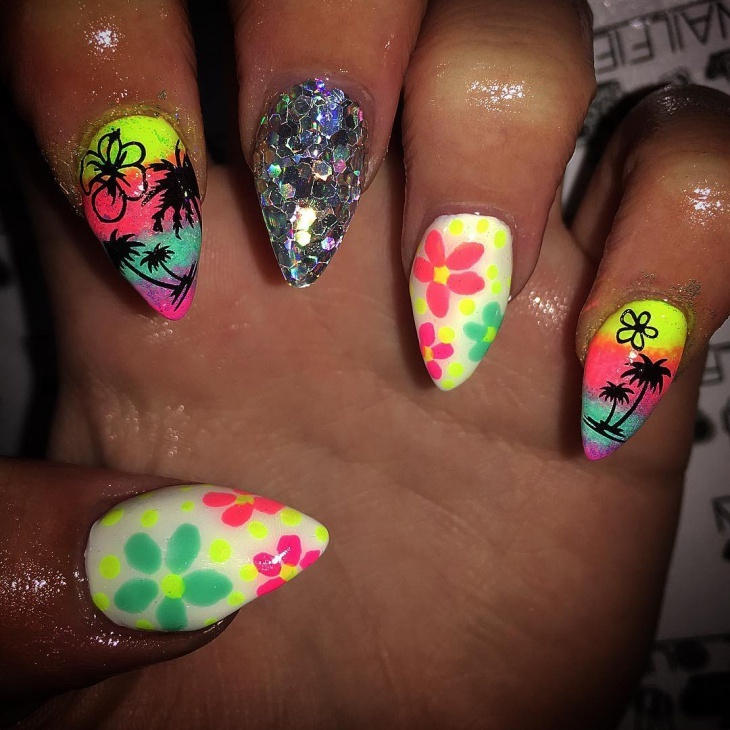 Teenagers and even adults will look good in a jungle holographic nail design. 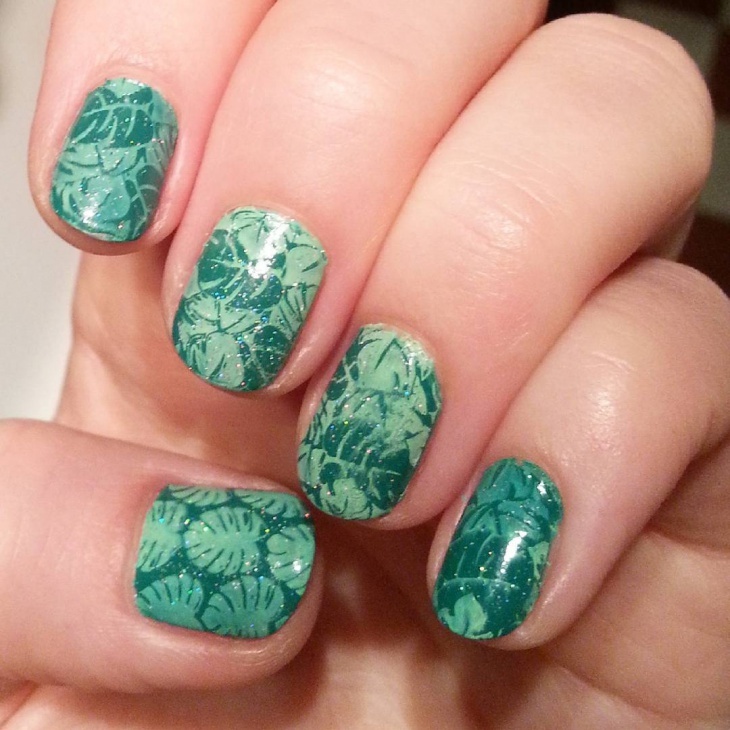 Experiment with different shades of green to get that jungle art that will complement your skin tone and add a few glitters to complete the design. 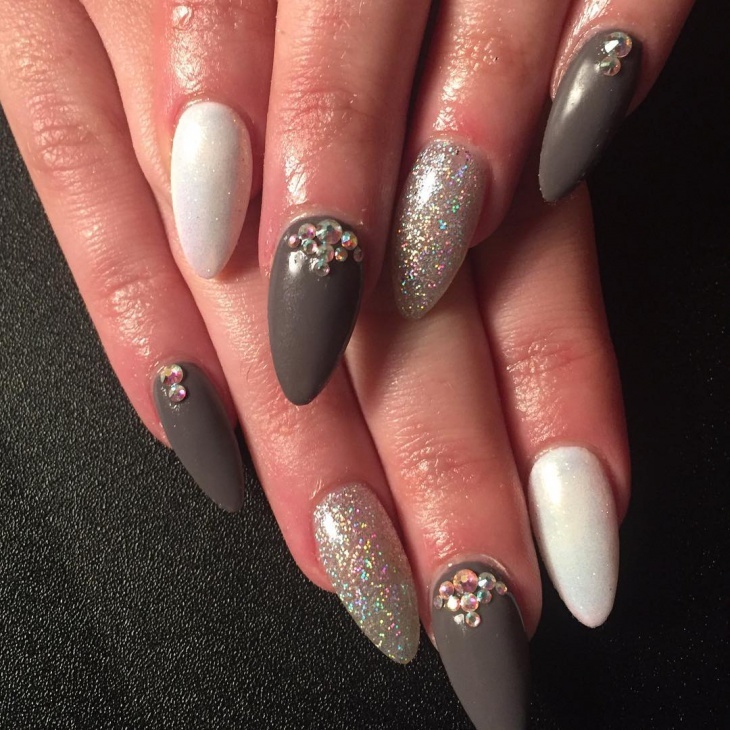 Celebrities such as Khloe Kardashian are fond of the stiletto nail design. 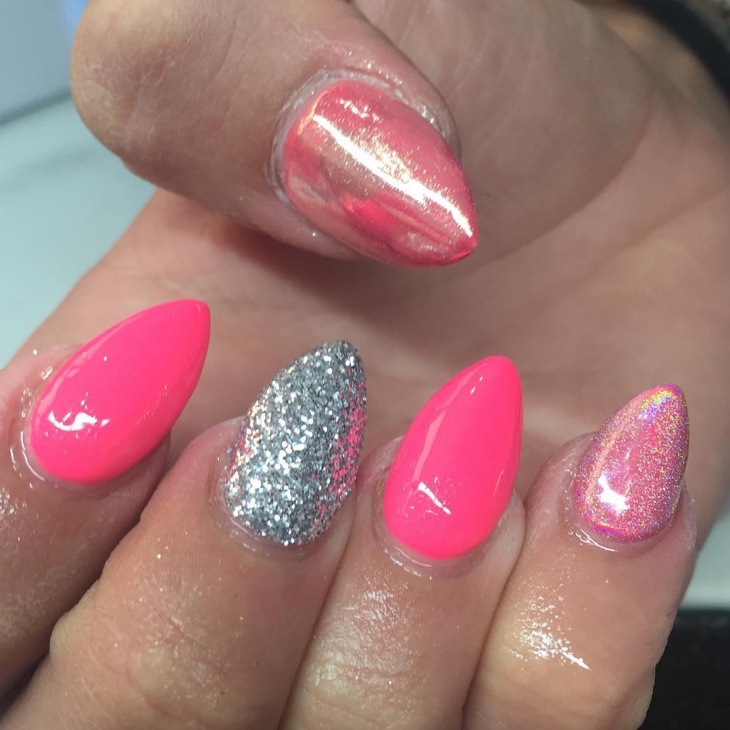 You too can embrace the trend by getting the holographic stiletto nail art. Give the design your signature look by using your favorite nail polish color. 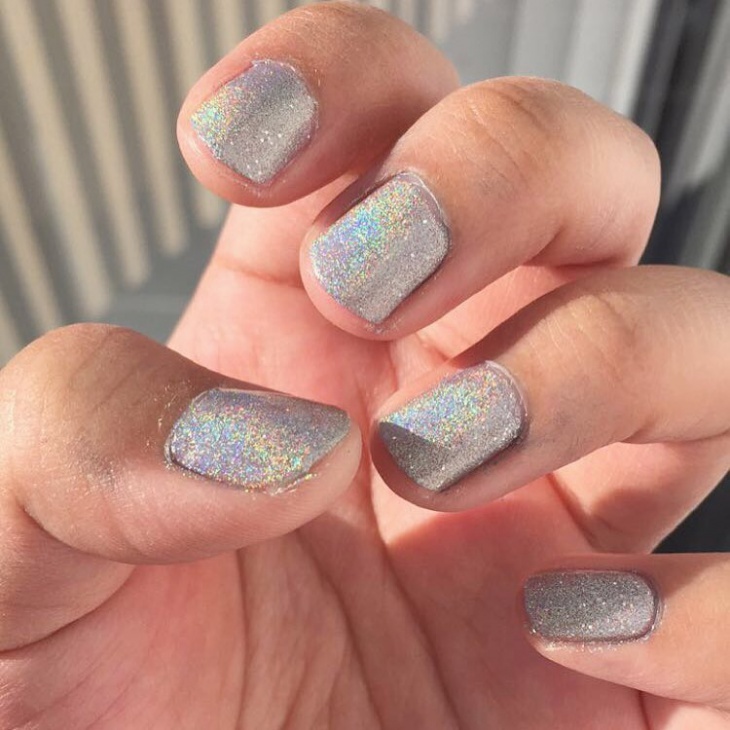 How to create a silver holographic nail design? Cut different sizes of holographic tissue paper and apply your ideal base just ensure it’s a solid color. Add one or two coats of clear polish and using a tweezer add the cut holographic paper on each nail. Leave to dry and apply a clear top coat. 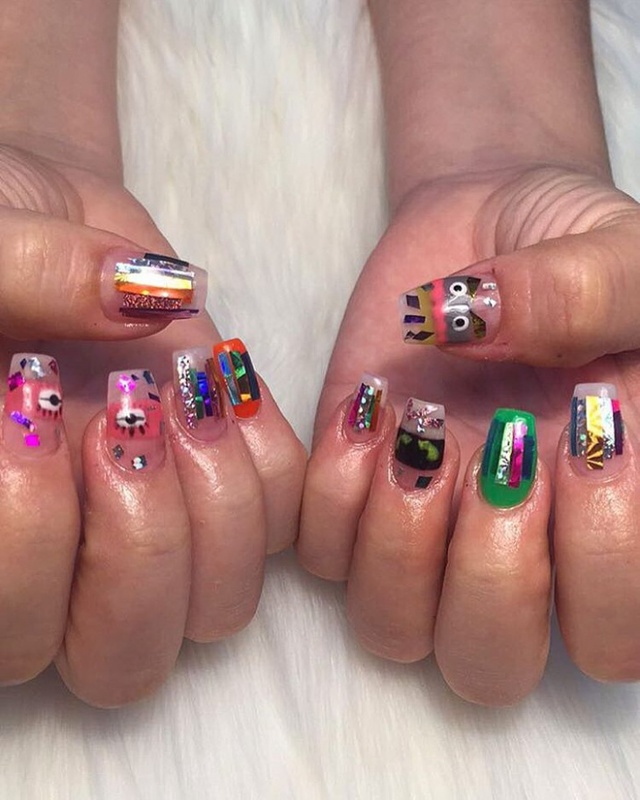 Your nails are one of the body parts on which you can portray your fashion sense. 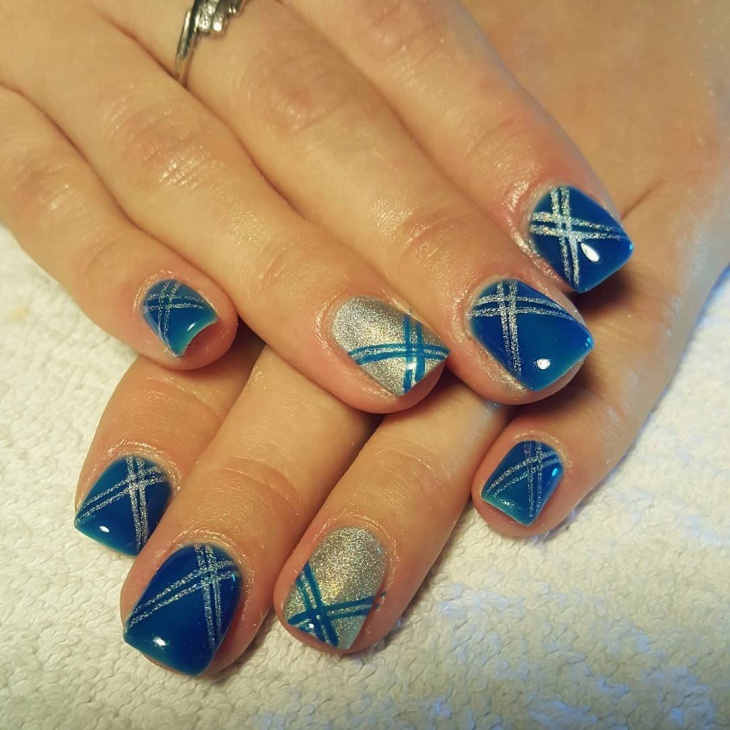 Both adults and young ladies can recreate this simple look at home; all you need is imagination, tools, and some nail polish. 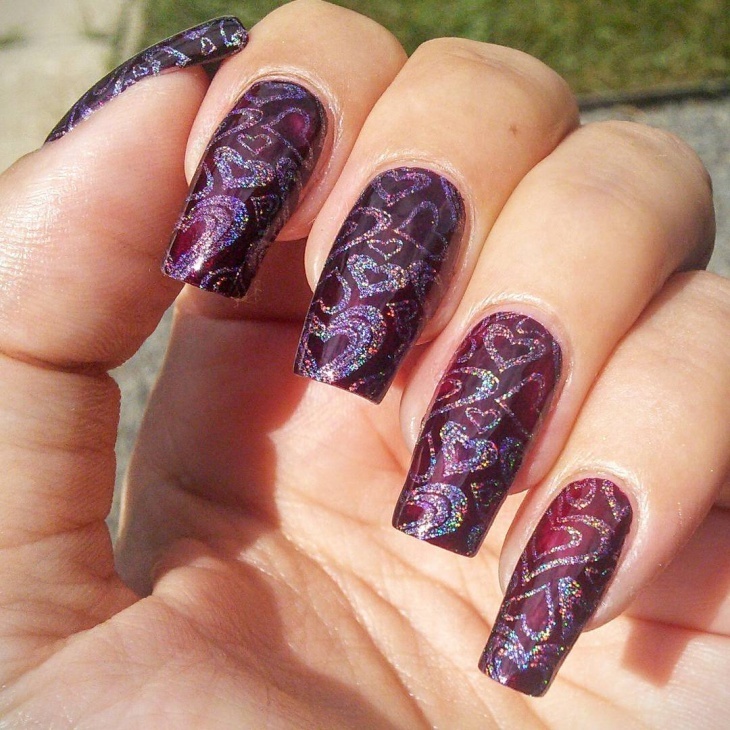 With one of this holographic nail design on your fingers, you will surely make a fashion statement worth remembering.